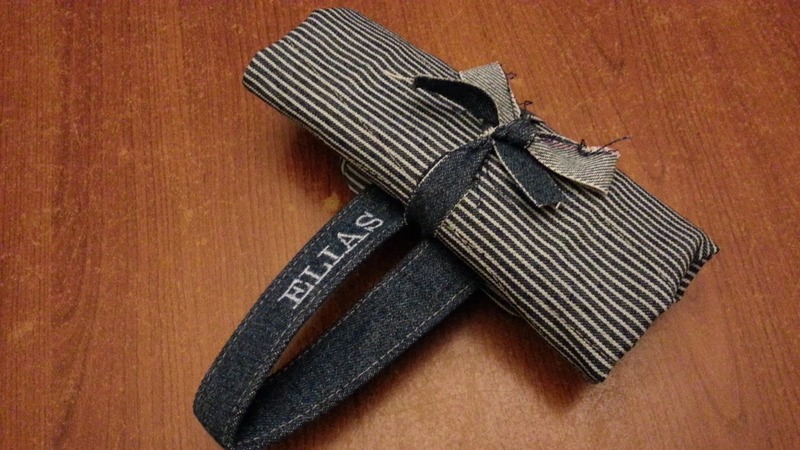 A gift for one of the classmate of my youngest daughter, and yes it's a boy. I always have a lot of ideas if it is for a girl but lost idea if it is for a boy. 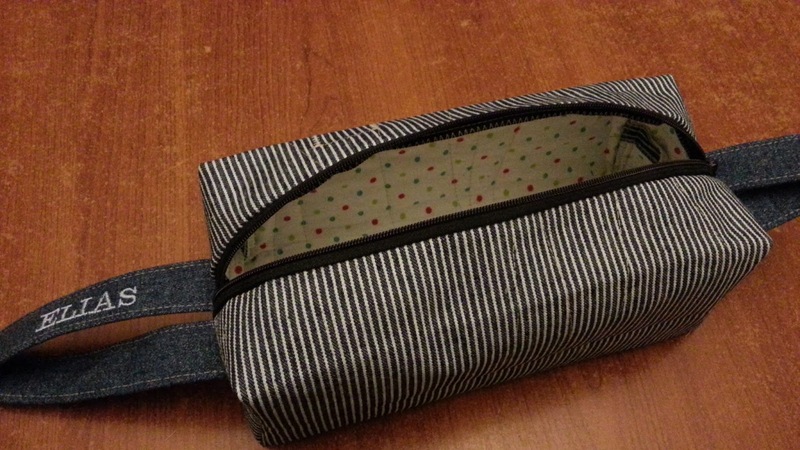 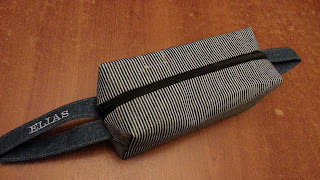 But good thing I came up with this pencil case idea named "Nickita Bag" of Joan Hawley, that I got from www.craftsy.com class, actually you can use this with a lot of things. I added name on the handle to make it personalised and also I just put a scrap fabric to tie it and to no longer wrap.